I used to bake muffins a lot when we were in St Louis. Initially, they came from the premix boxes. And then, as I slowly got the hang on baking from scratch, I baked out of magazines and books. Nowadays, I draw my inspirations from all the amazing food blogs. In fact, my favorite Raspberry Chocolate Chips Muffins comes from here. 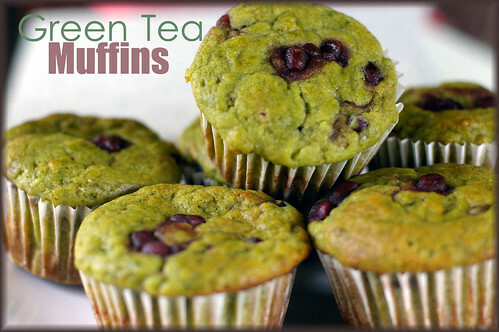 One day, as I was surfing for muffin ideas to bring to a friend's place, someone mentioned green tea muffins. Being a huge matcha fan, that piqued my interest, and I had to have it. Unfortunately there was no recipe accompanied it. Undeterred, I make a few tweaks on a recipe from my favorite online recipes source- Epicurious.com and come up with my version of Green Tea Muffins. Because I see muffin as morning food, I prefer mine lighter and not too sweet. With almost 2 teaspoons of matcha powder, the green tea flavor comes through, but it may not be everybody's cup of tea. So adjust the amount of matcha powder to suit your preference. For sweetness, I add 1/2 teaspoon of sweetenend azuki beans into each muffin, and find them compliment each other really well. 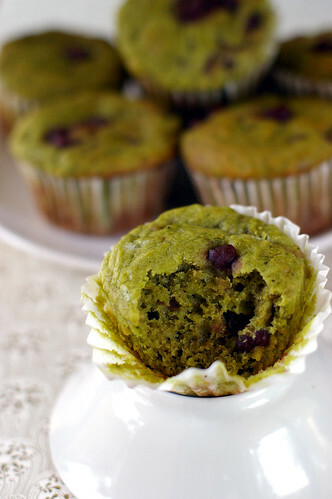 As with many matcha recipes I have tried, the green tea muffins turn dry easily. We learn our lesson when we absent-mindedly let them sit uncovered for a few hours. I think an extra splash of milk or an additional tablespoon of melted butter should be sufficient to counter the dryness.But I need to try it again this weekend just to be sure. Preheat the oven to 375°F. Butter muffin pans. Mix the flour, matcha powder, baking powder, salt, and sugar in a large bowl. Add the egg, milk, and butter, stirring only enough to dampen the flour; the batter should not be smooth. Spoon into the muffin pans, filling each cup about half full, dropping 1/2 teaspoon of azuki beans into each over and cover with more batter, until the cup is two-thirds full. Bake for about 20 to 25 minutes each. Or until the cake tester inserted comes out clean. You could call these kermit muffins. They look great! Muffins are always best straight from the oven anyway - I'm sure there's no sign of them being dry then! Wow, what great looking muffins! I love green!! I am sure they are tasty too! I love the flavour of green tea! And so cute to use azuki bean, at first I thought they were chocolate chips! And what to say about the color! Cool! Very clever "chips" you used! Those are too cute! I can't believe I forgot to pick up Matcha *again* when I went abroad. Teach me to make a list next time! 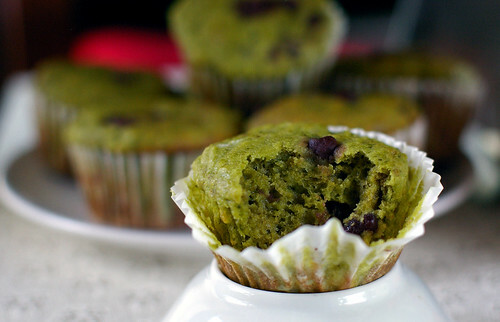 it's not easy being green, but these muffins are definitely easy on the eyes. wow these look so irresistable and yummilicious!! Those muffins are the prettiest shade of green! I have a can of Matcha powder in my pantry and I've never used it. I just don't know that much about it. This looks like a good place to start. Those green tea muffins look good. What an amazing colour. I like baking with matcha. Yum - Thanks for reminding me that I need to do something with the matcha powder I have sitting in my pantry. Interesting article about green tea. Has learnt a lot of new about this surprising plant and a drink. On my blog the theme of curative properties of green tea too is discussed. 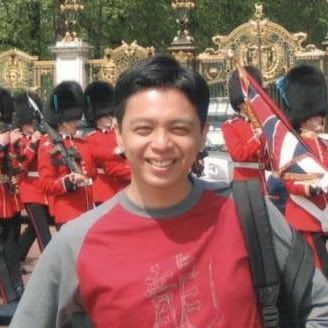 I will necessarily put the reference to your blog. Delicious-thanks for posting the recipe. Question, do you drain the azuki beans before putting them in the muffin? I purchased a can of sweetened azuki beans that had some liquid in the can. Do you have a recipe for green tea cookies you can share? Wow, green muffin? looks good, I'm a tea lover as well, so I better get this recipe, thanks for sharing it. I tried this recipe and increased the green tea powder to 1 tbsp and substituted the milk with Oat Milk. The muffin turned out bitter and salty. I guessed I shouldnt have used Oat Milk, cos oat milk does have the bitter-ish after taste.